Congress president Rahul Gandhi has placed 41 Lok Sabha constituencies in Uttar Pradesh under the charge of Priyanka Gandhi Vadra and 39 parliamentary segments under Jyotiraditya Scindia, a party statement said Tuesday. 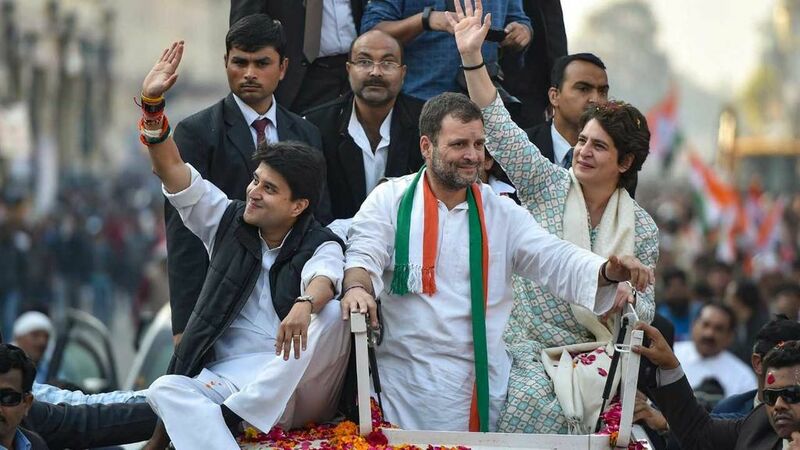 Priyanka Gandhi and Scindia were appointed AICC general secretary in-charge UP east and UP west respectively in January and took charge last week. Among the constituencies placed under Priyanka Gandhi’s charge were the key seats of Lucknow, Amethi, Raebareli, Sultanpur, Gorakhpur, Varanasi, Phulpur, Allahabad, Barabanki, and Kushinagar. Saharanpur, Kairana, Muzaffarnagar, Moradabad, Ghaziabad, Mathura, Pilibhit, Dhaurahra, Kanpur, and Farrukhabad, were some of the key constituencies placed under Scindia’s charge.